Beach Wire & Cable Inc.
Beach Wire and Cable offers an extensive line of high quality custom cable assemblies and wire harnesses for a wide variety of industries. 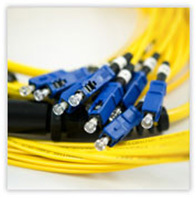 Each wire harness and custom cable assembly is made to our customer’s exact specifications. Each assembly is 100% quality tested, to ensure customer satisfaction. Our customers have come to rely on Beach Wire and Cable to supply them with their quality cable assemblies and wire harnesses in a timely manner. Beach Wire and Cable is here to assist and provide any industry with copper or fiber assemblies.